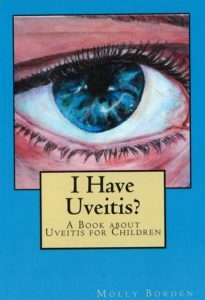 Written and illustrated by Molly Borden, this picture book gives children an idea of what uveitis is and what to expect in early treatment. Molly was diagnosed with uveitis at the age of eight and is currently a senior in high school. Proceeds from sales of this book benefit the Ocular Immunology and Uveitis Foundation.